was founded in 1948 by Shun-Zhi Chen, the current president’s father. He started his business by using the name” Fong Yeong Store”. The current president, His-Pin Chen, specialized in fabric and fiber, started his own textile business in 1978. Inherited from his father’s business philosophy and virtues Mr. Chen and the company have gained the trust and credibility from the customers. In 1988, Mr. Chen stared exporting and spreading the products around the world. To date, Mr. Chen fosters the next generation the insistence on product quality and further infuses more vitality into Fong Yeong. Over the past 30 years, Fong Yeong has become an expert in textile manufacturing. In this changing textile industry, Fong Yeong opens to various new trends and technologies. We have the most updated textile to satisfy customers’ need, and we also manufacture many kinds of functional fabrics, apparel fabrics, industrial fabrics, sports and casual fabrics, etc. With experienced professional ability, we are able to achieve customers’ requirements in both function and quality. Customers’ satisfaction and product quality have always been our first priority. We take date of delivery as seriously as you do. Also, we use recycled material, nontoxic chemicals, and organic fabric for your health and earth’s sustainability. We emphasize environmental protections to ensure our next generation has a better living quality. Based on business continuity, we promise we will provide professionalism and brilliant service. Founded in 1978, Fong Yeong has thirty years experience in manufacturing textiles. Fong Yeong uses high quality yarn and guards strictly on every production process. Fong Yeong not only offers high quality textile, but also gains a good reputation. Since founded, Fong Yeong offers best quality and services to every customer. 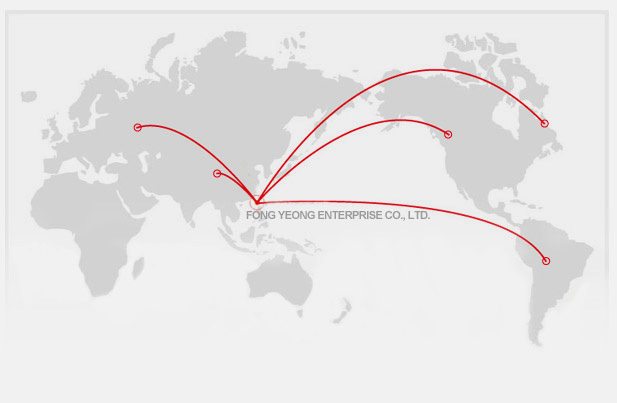 By building up good partner relationships with customers, Fong Yeong establishes strong and stable growing. Therefore, we take customers’ needs as the first priority; consider customers’ competitive power and success as ours.